A day to breathe in the most Powerful Promise ever given in His Word. A day to breathe out a Prayerful Praise to our Heavenly Father and Savior Jesus. Today we pause to reflect on the greatest gift God has ever given; salvation through His son, Jesus. He sent His only son to take stripes on his back and die on the cross as a sacrifice for us, and Jesus willingly went. 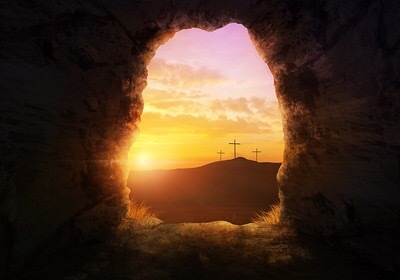 But the grave couldn’t hold him and he rose again three days, conquering hell and death. And He lives forevermore. This gift, it can’t be earned or purchased. Because we could never deserve this incredible act of love, it’s freely given in grace. Receiving this gift gives us eternal life with Him. This week in our series, “Learning From Their Experiences,” we explored the life of the Widow at Zarephath. If you are new to our blog or have missed a post, we invite you to read what we have learned from her and how her experience could apply to our lives today. < Previous How About Them Apples?